Find changes made to revised drawings. 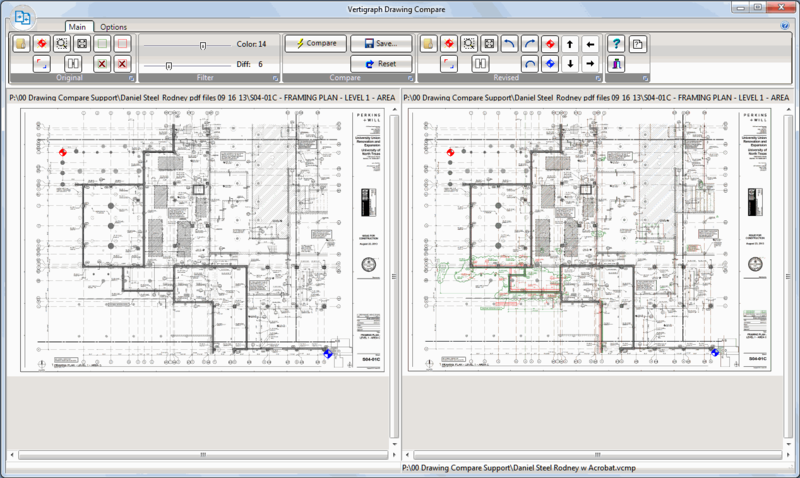 Vertigraph’s Drawing Compare application clearly shows the changes made to an existing raster drawing file. After aligning the two drawings to each other, additions will be displayed over top the drawing in one color, with deleted items shown in a different color. These color coded changes can be saved as a new file for use with BidScreen XL and SiteWorx/OS. 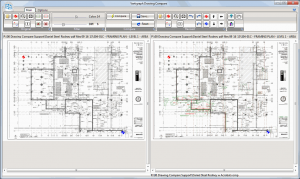 Vertigraph’s Drawing Compare allows you to easily isolate and takeoff any plan file revisions. Easy to use and features an intuitive user interface. Supports many drawing raster file formats including pdf, tiff and png. 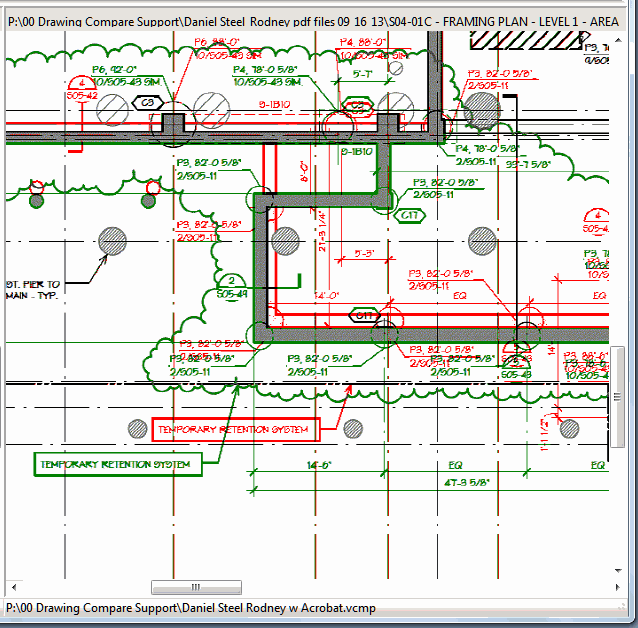 Color coded differences can be shown on the original or revised drawing. Displays user defined colors for items added with contrasting colors for items deleted.